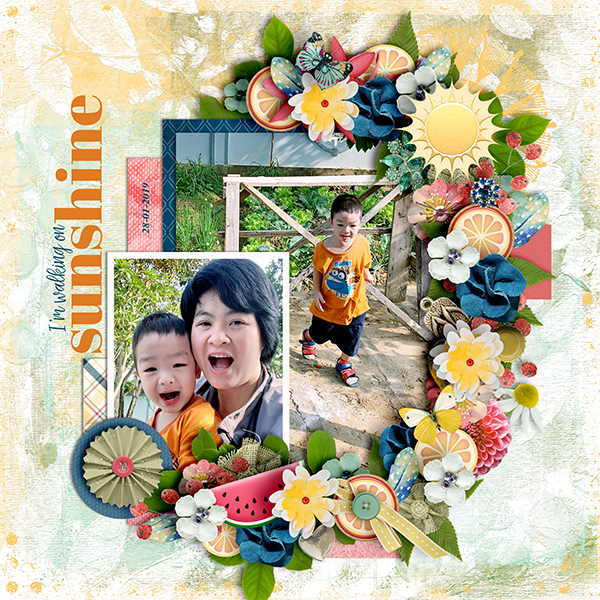 Hello sunshine collection by Heartstrings Scrap Art. 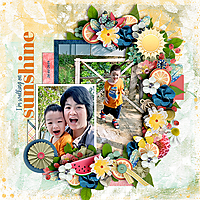 Springtime 2 templates by Tinci. The way you did your title is fantastic! I love your arch of flower clustering!